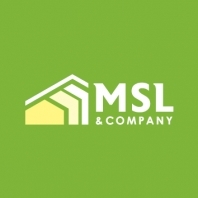 MSL & Company is a real estate development and advisory firm based in the East Bay Area of San Francisco. Community is at the heart of everything we do at MSL & Company. The mission of MSL & Company is to address housing and community challenges through three core competencies: integrated real estate development, project management, and real estate economic analysis advisory. MSL & Company invests in projects that provide the greatest positive impact on communities, enhance neighborhood characteristics, and promote economic development that benefits our clients, individual residents and the neighborhoods we serve. The team at MSL & Company is comprised of passionate experts and industry leaders with over 60 years of collective experiences, and a wealth of expertise in real estate economics, finance and investment, architecture, and development. This shared knowledge and decades of in field experience assures each project is mission driven and community focused. MSL evaluates and attends to every detail, from economic and fiscal impacts and financial feasibility, to innovative design and construction methodology, and sustainability. As an experienced economist and developer, MSL Principal Macy Leung addresses housing and community issues through development and economic advisory work.